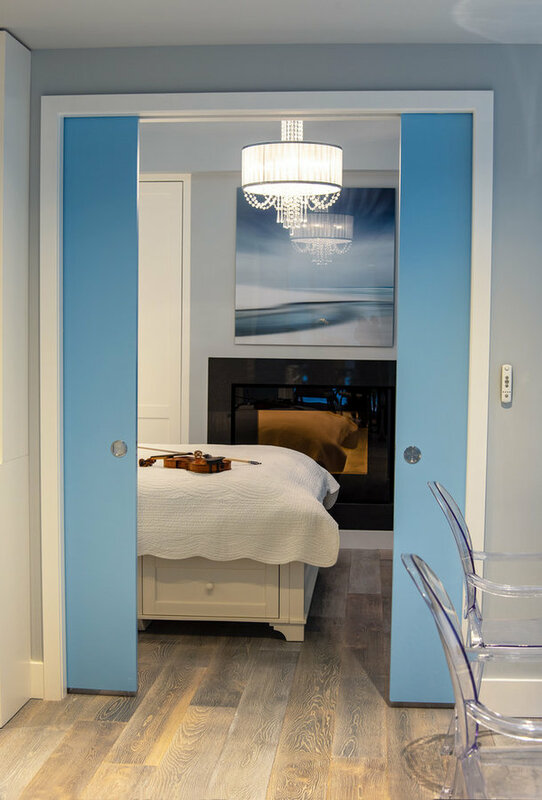 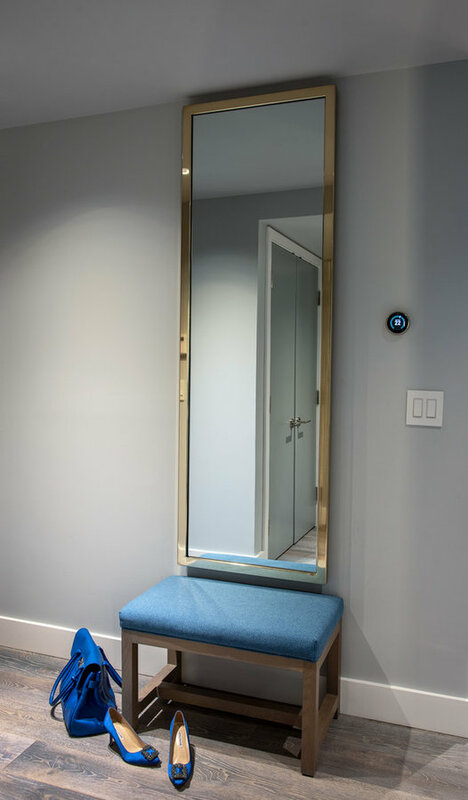 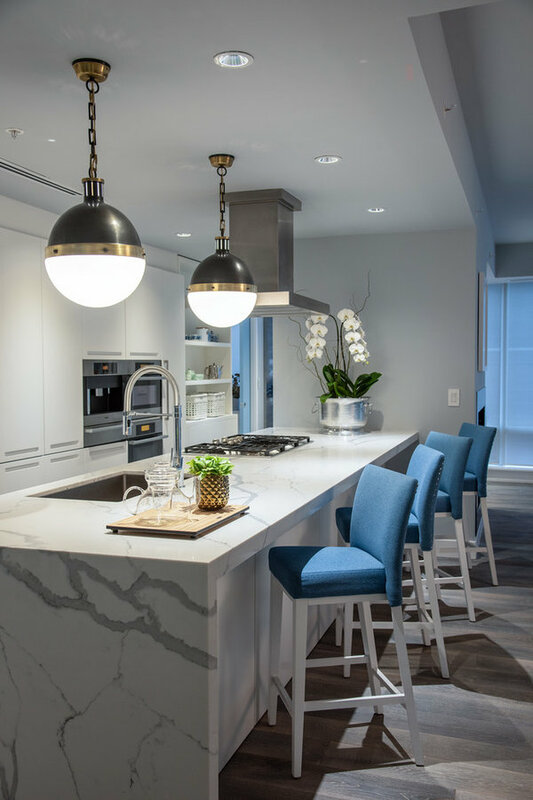 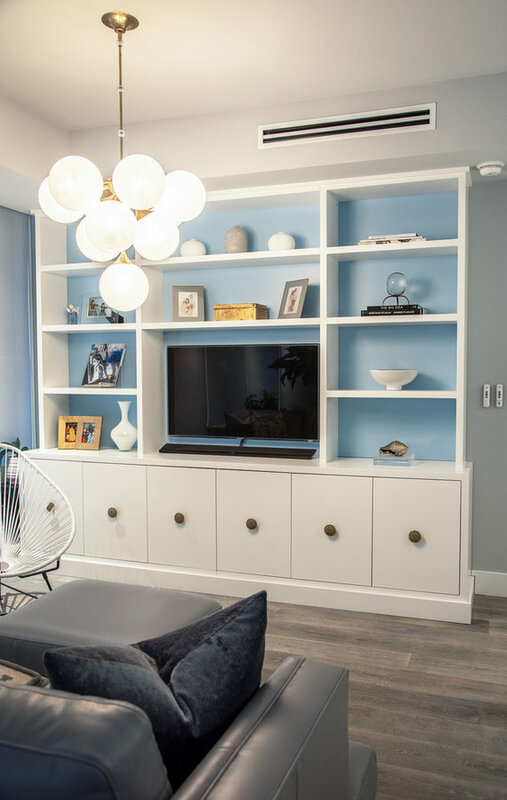 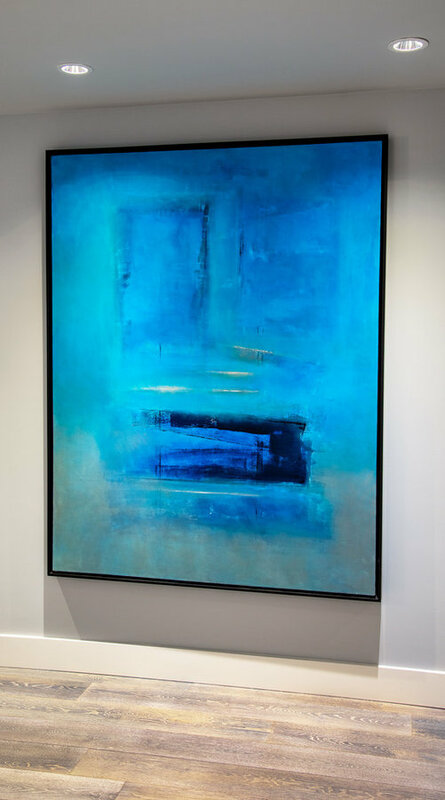 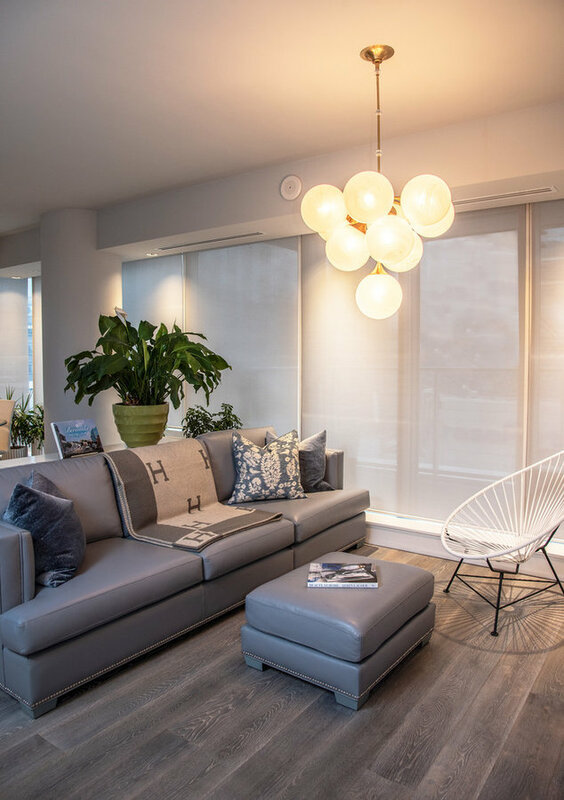 Andrea Gray Design This was a renovation project on an 1800 square foot condo at the Shangri La in Toronto. 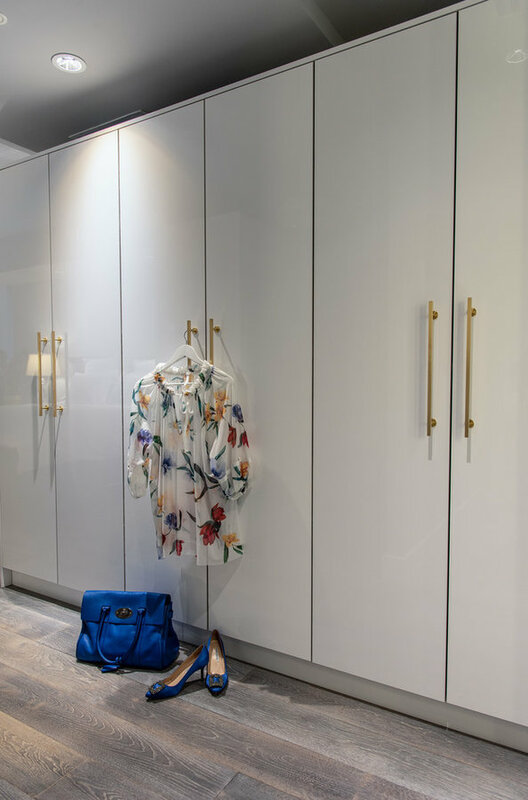 New flooring, paint, light fixtures.This the entry hall, custom hall table by Cabinet furniture in white lacquer. 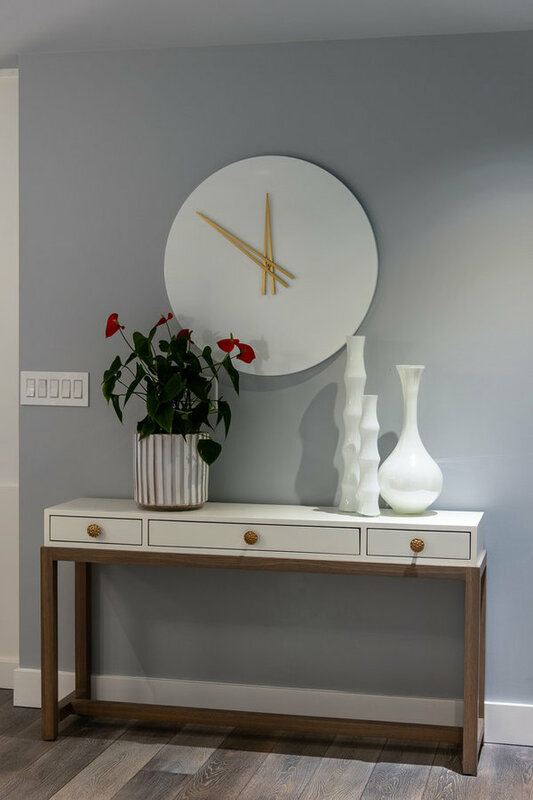 Modern white lacquer clock and white vases.